During World War II, the Imperial Japanese Army captured an American Bantam Mk II Jeep while occupying the Philippines, and realizing the durability and efficiency of such a vehicle, they commissioned Toyota to reverse-engineer their own prototype. After the war, development continued, and thus began Toyota’s entry into the 4-wheel drive market. In the mid-sixties, the early Land Cruisers were the best selling vehicle for Toyota in the US market, and today, a select few survivors like this example are legitimate collector vehicles and prized for their rugged versatility. Long considered to be one of the most unforgettable off-road SUV’s of all time, the Toyota Land Cruiser FJ40 was first produced in 1951 for the Japanese market, and finally introduced for world consumption in 1960, and was available in a variety of versions all the way through 1984. 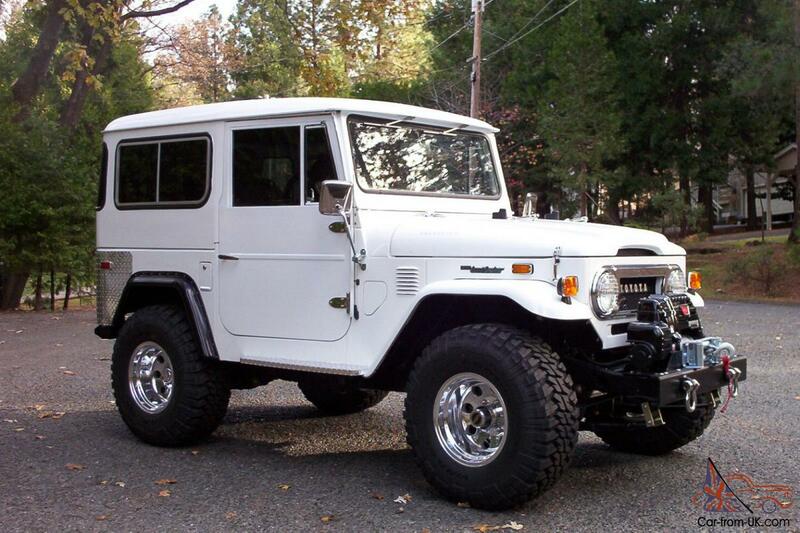 From 1958 until 2001 a spartan FJ40 was also produced in Brazil, known there as the Toyota Bandeirante. Larger than the Jeep CJ, the majority of 40 series Land Cruisers were built as two-door models, and a majority were sold in the US market. Today, the vintage FJ40 is still incredibly popular world-wide, still being avidly used for off-road driving, rock climbing, and as a collector vehicle. It took Toyota 8 years to sell the first 100,000 Land Cruisers, and in just 5 more years, total production topped 300,000 units. 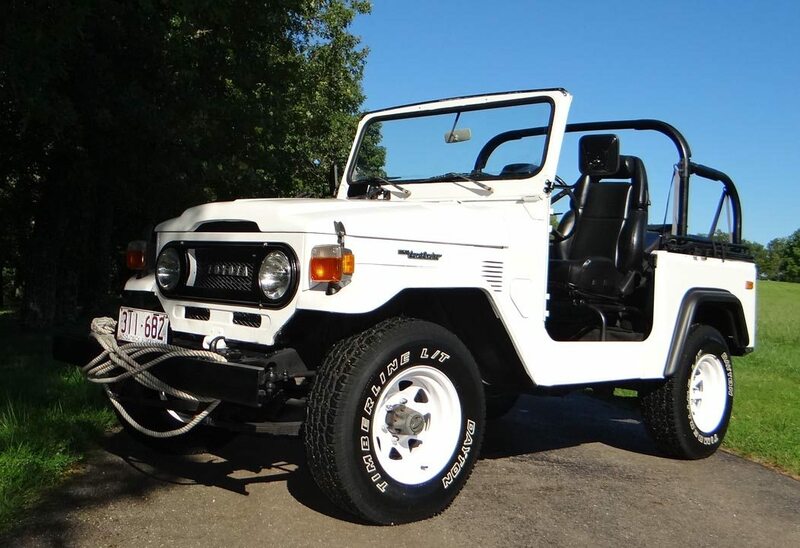 This 1975 FJ40 is beautifully finished in fresh white paint inside and out, accented by black roll bars, seats, and carpets. So many of these vehicles were abused and used up, it’s incredible to find one that is clean, all-steel, and hasn’t been cut or altered in any way. This FJ40 has obviously been well cared for, with the original bucket seats and rear bench still in place. A new soft top in black vinyl has been fitted, as well as newer Timberline L/T radial tires on clean white painted steel wheels. It’s great fun to operate with the top down and the doors off, for the full wind-in-your-hair experience or a little rock-climbing, and its nice to know that the factory roll bar is in place just in case. 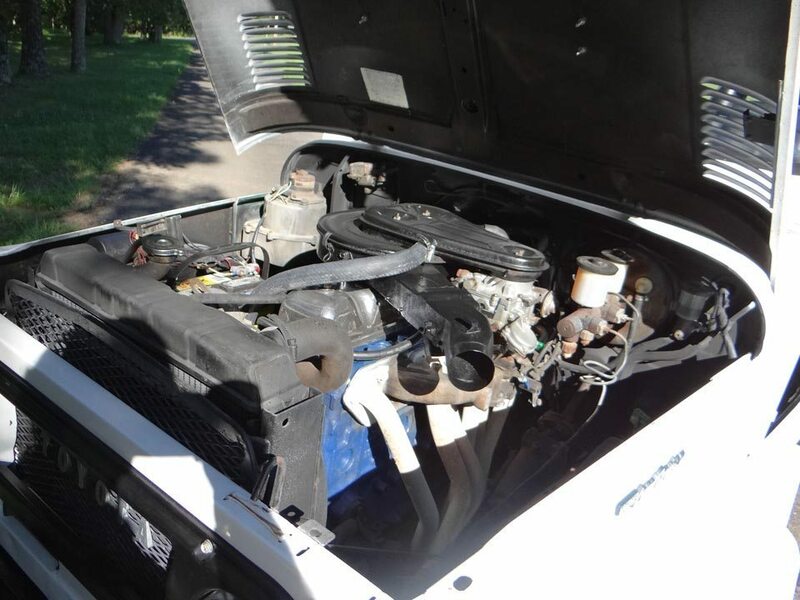 Under the hood, the engine bay is clean and nicely sorted, with a polished aluminum valve cover, and the Toyota inline six starts readily, idles softly, and pulls with plenty of torque. The exhaust note is crisp due to the custom headers, and the dual range transfer case and lockable Warn 4WD hubs give this truck a creeper gear that is incredible. 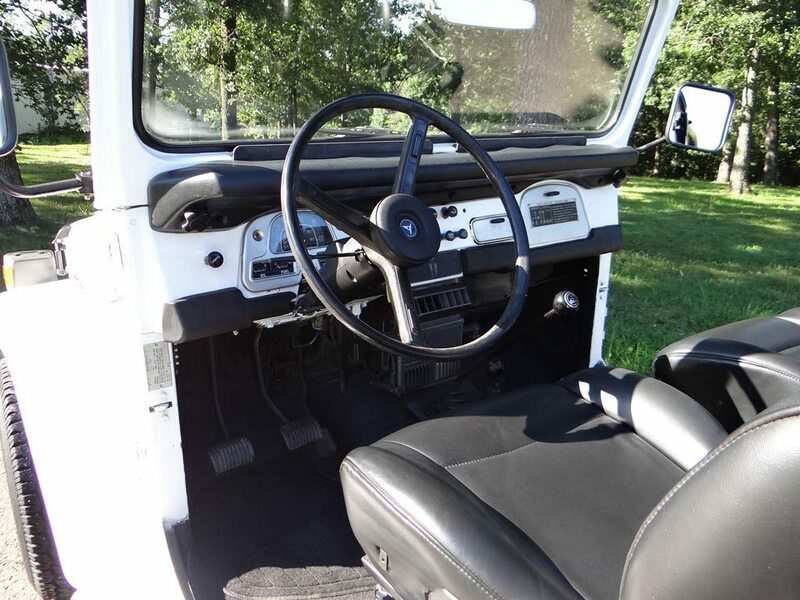 Driver conveniences include power brakes and steering, and the factory dash is clean and accurate. There’s a reason that Toyotas have a great reputation for reliable operation, and in the US, it all started with the Land Cruiser. As the longest running series in Toyota’s distinguished history, the Land Cruiser has earned it’s place in many great classic vehicle collections, and the very best examples will continue to appreciate for many years. If you have an early model Toyota or another collectible you’d like to insure with us, let us show you how we are more than just another collector vehicle insurance company. We want to protect your passion! Click below for an online quote, or give us a call at 800.678.5173.